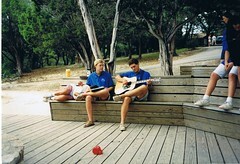 1991 and Paul is helping me learn to play guitar. It has been 17 years but we spoke today on the phone. I have been very blessed. Posted on August 13, 2009, in 293. Bookmark the permalink. Leave a comment.